Update: A representative for Activision provided us with a little bit of clarification, “The global launch date of Spyro Reignited Trilogy is Sept. 21; and we’re excited for fans to play all three reignited games on that day. Original: A collection of classic games remastered to today’s standards reminds us of simpler times, but the Spyro Reignited Trilogy will still have vestiges of modern gaming present on its disc–or rather, not on the disc. If you planned on getting a physical copy of the game, the disc will only include Spyro the Dragon. Spyro 2: Ripto’s Rage and Spyro: Year of the Dragon will need to be downloaded. 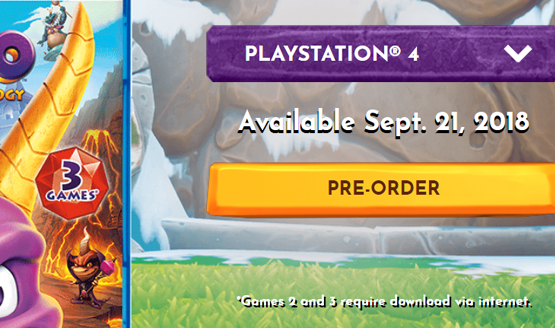 The discovery was made when Activision updated the Spyro website with new box art communicating the download requirement. The preorder section of the site also states “Games 2 and 3 require download via internet.” Both the PS4 and Xbox One versions of the game say the same thing. It’s a bit of an unusual move. The Crash Bandicoot N. Sane Trilogy had all three games on the disc, but had some later levels released via DLC. Even those DLC levels are now included on the disc with more current pressings of the game. It’s possible that Toys for Bob had been trying to optimize to fit all of the games onto a single disc but simply can’t. Spyro was one of the pioneers of open-world games after all. There’s also the possibility that this is a DRM move to prevent people from selling the game or buying it used (it’s not clear if the download for Spyro 2 and 3 will be an automatic update, or if an included code will be used to “redeem” them on your account. We’ve reached out to Activision for clarification. See update above). As of this writing, the Amazon listing for Spyro Reignited Trilogy has not been updated with the newly revealed download requirements, and the cover art is still the original placeholder art. If you’re planning on going digital, the download requirement won’t affect you because you’ll be downloading all three games anyway. We got a chance to play through a few remade levels from Spyro Reignited Trilogy at E3 this year, marveling at how they were able to deliver classic gameplay with reimagined visuals, audio, and voice work. 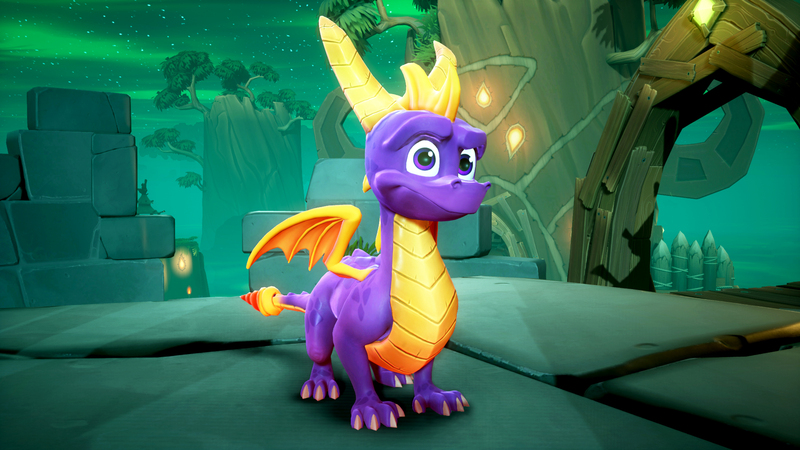 We got a look at how Toys for Bob is changing up Spyro 2, but have yet to see anything from the third game in the trilogy. It was also revealed that players can choose between the original soundtrack and the newly recorded soundtrack right in the options menu, which could account for all three games not fitting on a single disc. What do you think of the Spyro Reignited Trilogy download requirement?